You know those Monday mornings where you wake up and go to work and it’s just business as usual? You sit at your desk, drink your coffee and plod through everything you shoved aside on Friday? This was not one of those Mondays. This Monday technically began on Friday with rumors of an HP acquisition of Samsung’s printer business. As a rule, we don’t report on rumors, but we do keep a close eye on them to see what develops. This particular rumor was made more interesting as we had just learned that HP’s to-be-announced lineup of A3 MFPs was based on engines from — you guessed it — Samsung. So it came as only a slight surprise when the 4:30 a.m. press release rolled in with the official announcement from HP. On the surface, these are two interesting if unrelated stories, but in truth, they have some common ground. Canadian firm OpenText has made headlines previously this year; twice, in fact, when it acquired several assets from HP Inc. shortly after that firm’s separation into two entities. In April, OpenText entered into an agreement to acquire several customer communications management assets from HP including TeamSite, MediaBin, Qfiniti, Explor, Aurasma and Optimost. Shortly following the completion of that deal, the next agreement was announced in which OpenText would complement its previous acquisitions with Exstream, Output Management, TeleForm and Liquid Office for customer communications management, process automation and document delivery solutions. When we explored these transactions and HP Inc.’s potential motivation, we noted that “HP Inc. certainly seems set more on managing printers and PCs than it does with what it considers fringe customer elements.” It was interesting that the assets had stayed on the HP Inc. side of the business post-split to begin with, but it seems likely they were going to be offloaded regardless of whose custody they entered. Did leaving them on the HP Inc. side better enable the firm to engage in the Samsung deal? OpenText, meanwhile, is growing by leaps and bounds through acquisition this year — nothing new, it seems, although the Dell ECM deal is the biggest in its history. The firm, which calls itself “the leader in Enterprise Information Management” was, according to its website, founded in 1991, has 8,600 employees, $1.9 billion in 2015 revenue, and 100,000 customers globally. Acquisitions are nothing new to the firm, however, known as a “roll-up company” for its strategy of growth through acquisition. Seeking Alpha reports that OpenText has actually made 53 acquisitions over the last 10 years, valued at roughly $3 billion, which have paid off as it has gone from a $500 million business in 2006 to one valued at $8.5 billion. What effect the HP and Dell ECM acquisitions will have remains to be seen — the $1.62 billion purchase price of Dell ECM is 2.7 times the enterprise content division’s fiscal year 2015 revenue of $599 million. OpenText expects to expand its vertical offerings, customer base and geographic coverage with the addition. Meanwhile, Dell gets a win in this scenario with a mitigation of some of the debt it took on in its record-setting $67 billion acquisition of EMC — a deal that finally closed this past week, creating the newly named Dell Technologies. Is there anything else? Umm – sure. Let’s revisit our friends at HPE. In May the new company announced plans for a spinoff/merger of its Enterprise Services business to Computer Sciences Corporation (CSC) for a total value of $8.5 billion, creating a “pure-play, global IT services powerhouse.” On Sept. 7, in conjunction with its Q3 2016 results, it announced its plans to spin off and merge its non-core software assets with enterprise software company Micro Focus in a transaction valued at $8.8 billion, which includes a $2.5 billion cash payment to HPE and 50.1 percent of the ownership of the new combined company to HPE shareholders. Included in the transaction are HP’s application delivery management, big data, enterprise security, information management and governance, and IT operations management — most of which were acquired through the notorious 2011 Autonomy acquisition. The transaction had been rumored for some time, so the actions were no surprise and only the price and bidder were in question — HPE reportedly hoped to get as much as $10 billion, although previous reports only claimed offers of $7.5 billion, naming potential suitors including Thomas Bravo and Vista Equity Partners. Those two companies have bid on other software divisions of other printer firms — namely Lexmark. In February, before the world completely spun off its axis and a Chinese consortium purchased the Kentucky-based company, rumors of Lexmark being split and sold were rampant, and Thomas Bravo and Vista were two of the names rumored to be interested in the software division. However, the Chinese consortium that included aftermarket chip manufacturer Apex purchased the company whole … for a while. Industry pundits have expected that it was only a matter of time before more sales were in the making, and on Sept. 9, Bloomberg reported Lexmark’s new owners were exploring a sale of the software division. Today is just Tuesday. What will the next week bring? is editor-in-chief of BPO Media’s publications Workflow and The Imaging Channel, and senior analyst for BPO Research. 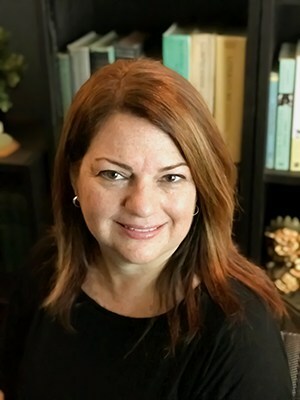 She has more than 20 years professional writing and editing experience and has specialized in the office technology industry for the last 15 years, focusing on areas including print and imaging hardware and supplies, workflow automation, managed print, document management solutions and software, business solutions and more.